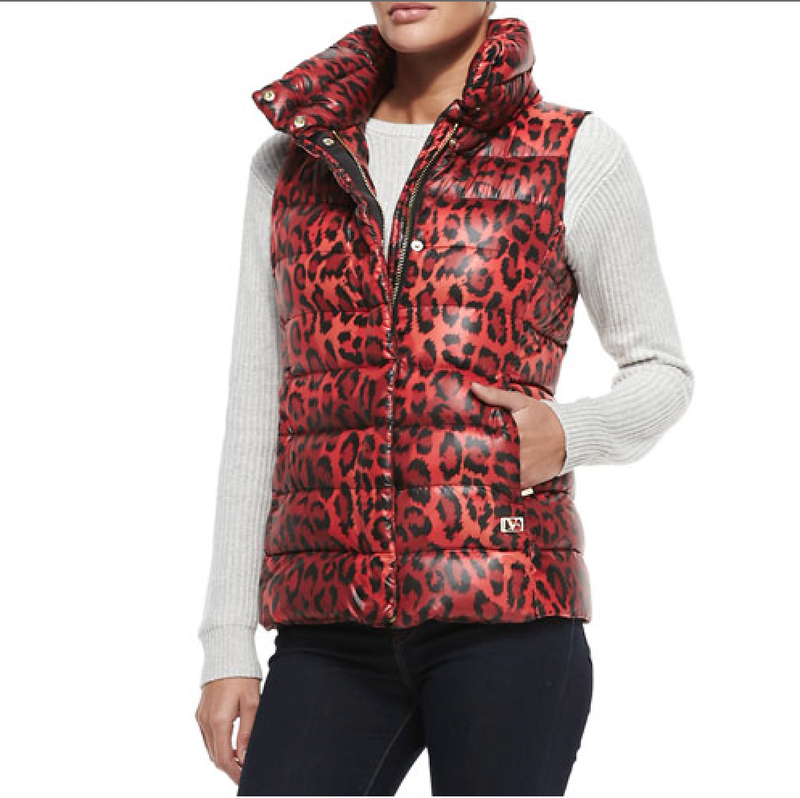 Diane von Furstenberg animal-printed puffer vest; duck down/water fowl feather fill. Approx. 25″L from shoulder to hem. Diane von Furstenberg golden logo plaque. Includes pouch with DVF quote. Polyester; self lining; 90/10 waterfowl down fill; dry clean. Belgian designer Diane von Furstenberg vaulted to the height of popularity in 1972 with her iconic silk jersey wrap dress. Lauded as a pioneer in feminist fashion, von Furstenberg reintroduced the wrap dress just before the turn of the century, only cementing her legendary status. Today the Diane von Furstenberg brand represents a full collection of women’s ready-to-wear, jewelry, accessories, handbags, shoes, and even home decor.